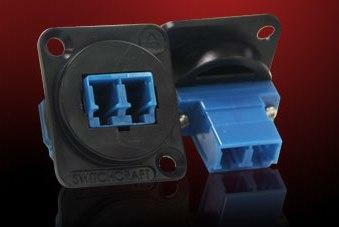 The EH Series connector system from Switchcraft - STOCKED IN AUSTRALIA - is the industry's most extensive line of modular audio, video and data connectors. All EH Series connectors are designed into the same size panel cutout, which makes creating and modifying custom I/O solutions fast and easy. Included in our industry leading array of connector options, are the popular 9 & 15-Pin DSUB, RJ45, ST/SC/LC Fiber Optic, BNC, HDMI, USB and much more!